The Focus RS is a very special car and it needs very specific tuning to maximise it’s full potential. There are many products that work and some that don’t work, we believe our experience and constant development can sort the good from the bad. Since adding a Milltek Sport Exhaust system and creating an additional 20bhp on an already 325 bhp car ,we have been supplying honest advice ,tuning parts and services to the Focus RS enthusiast. Based on repeatable factual results the Focus RS packages offered below represent both Quality and Value.They can turn a now bargain priced car into an bargain priced 340bhp + SUPERCAR. 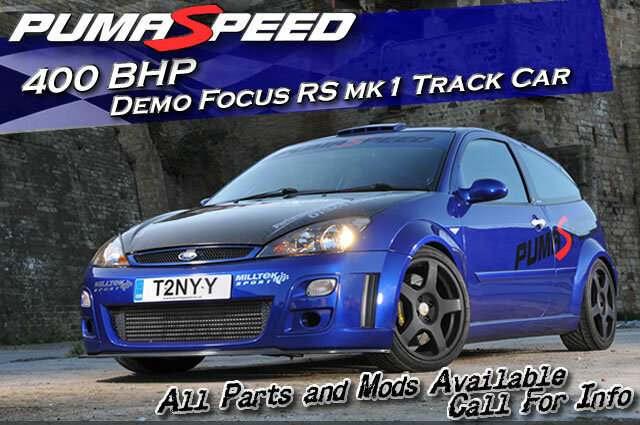 All Focus RS tuning parts are fully tried and tested and are used or have been used on our Demo car.